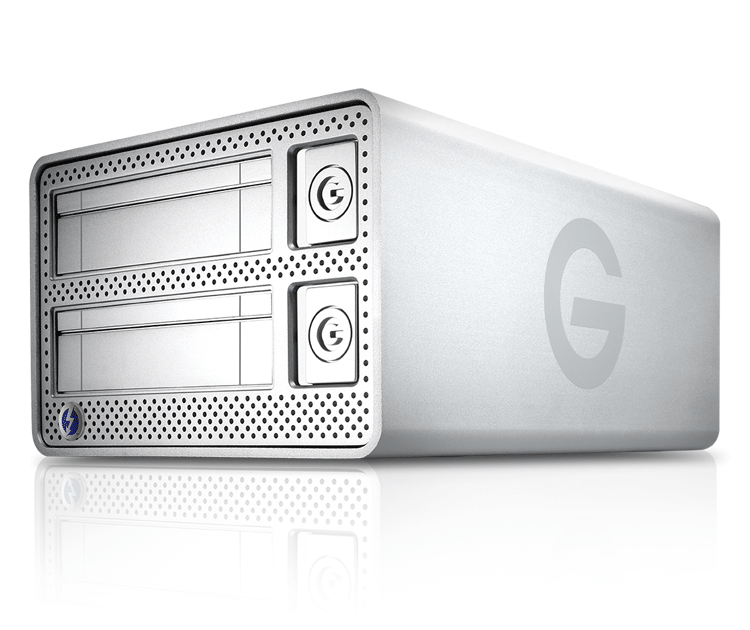 I have recently started using the new G-Technologies Evolution Series hard drives. It consists of a main drive dock with two bays and a Thunderbolt interface. The drive modules themselves are interesting as they slide into the bay using a SATA interface, but can also be used as a stand alone drive via USB3. This modular approach has allowed me to use a mirrored disk set in the field, and then remove the modules to hand off to my clients at the end of the job. My main concern was the speed of the USB3 on my Macs (MacBookPro and iMac). I recently tested the drive speed, and I am happy to report that the EV Drive USB3 speed is slightly faster than FW800, and when used on Thunderbolt, gains even more speed. Overall I am very happy with this system. I would like to see a larger 6 drive chassis for larger projects.